Spring brings longer days, sunshine, greener grass, buds on trees, and bugs. 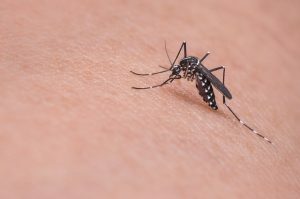 Those pesky black flies and mosquitos start appearing and start biting. Did you know that Health Canada has approved various essential oils as natural bug repellents? So it’s no longer necessary to load up with chemicals if you don’t want to. Essential oils such as lemon, camphor, and geranium can help repel bugs. Sunscreen and insect repellents can be worn safely at the same time. Apply the sunscreen first and then the insect repellent. Read more on the Health Canada website.